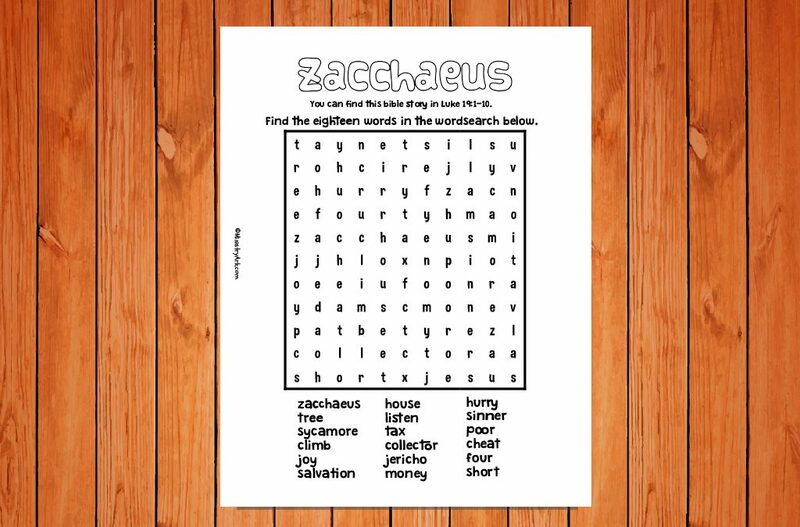 The Zacchaeus Wordsearch Printable is a wordsearch packed with words from the story of Zacchaeus. 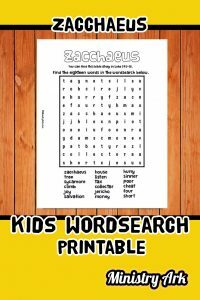 Children are encouraged try to find each word from the wordsearch and circle around the word. 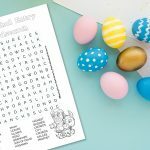 This helps the child to remember the story and to think about what they have learned once more. 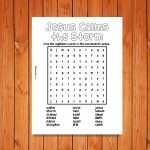 You can use this printable as a great time filler for a longer Sunday School session. 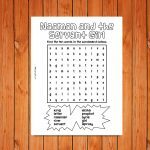 Why did Zacchaeus climb up the tree? If you lived in bible times, what would you have done to see Jesus in the flesh? 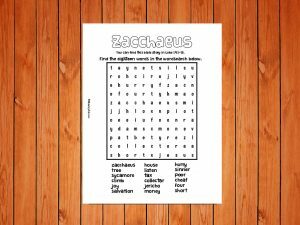 How do you think Zacchaeus felt when Jesus noticed him? What do you think Zacchaeus was thinking when Jesus was coming to his house? 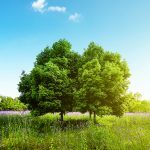 Why do you think Zacchaeus paid back the money that he had taken?